Altering joint alignment, surgically or nonsurgically, is associated with decreased pain and improved function in patients with knee OA. Researchers are working to explain the mechanisms underlying these effects, particularly with respect to bracing. by Yatin Kirane, D.Orth, PhD; Rebecca Zifchock, PhD; and Howard Hillstrom, PhD. Knee osteoarthritis (OA) ranks among the most common disabling conditions in adults. Characterized by persistent joint pain and limitation of function, knee OA adversely affects one’s quality of life by impeding an individual’s ability to work and to perform recreational and daily living activities. It has significant economic and societal impact due to the direct health care costs as well as the indirect costs from morbidity and loss of productivity. Figure 1. 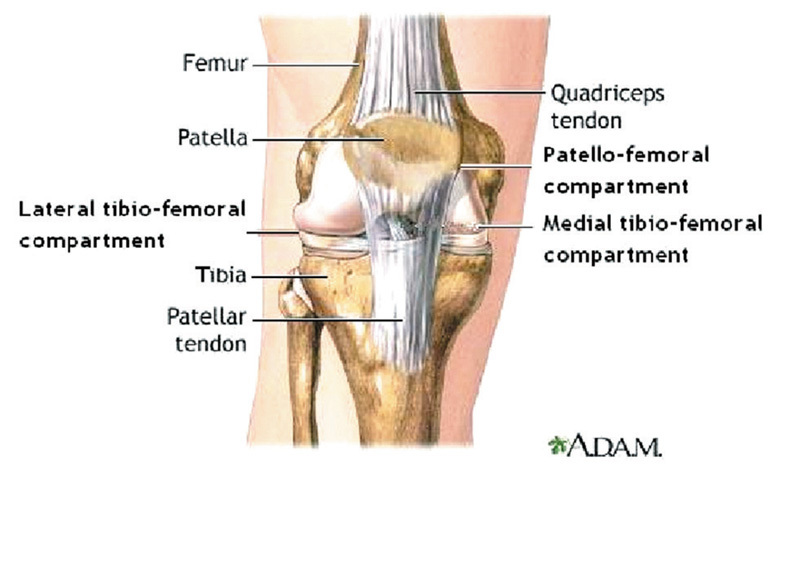 Normal anatomy of the knee. Although joint replacement often yields successful outcomes, conservative treatment methods can be attempted to prolong the life of the natural joint. This is especially true for patients with less advanced OA or those who are not suitable candidates for surgery. Only a small fraction of knee OA patients absolutely require surgery, while symptoms in the majority of patients can be treated nonoperatively with reasonable success.13 Therefore, conservative methods that may prevent or postpone the need for arthroplasty are warranted. Since the abovementioned nonsurgical treatment methods are not equally effective for all patients, a “cocktail” or combination of different treatment modalities is often helpful. In this regard, a physician’s clinical judgment and experience play an important role in finding the right combination for the patient, and some trial-and-error is often required. Figure 2. Varus knee OA. Left: Standing photograph. Center: Standing x-ray image. Right: Close up radiograph of the knee. Unicompartmental knee OA poses unique challenges since the mechanics and treatment vary depending on which compartment is affected. For example, OA of the medial compartment may be associated with a varus knee deformity (Figure 2), while OA of the lateral compartment may occur with a valgus deformity. These deformities are thought to cause disproportionate compartment loading and degeneration,6,26,27 especially among the overweight population.7 Deformity correction (realignment) may reduce stress in the overloaded compartment, and prolong the life of the natural knee joint. Figure 3. After high tibial osteotomy and gradual deformity correction. Left: Standing photograph. Center: Standing x-ray image. Right: Close up radiograph of the knee. Brace therapy plays an important role in conservative treatment of knee OA. Several types of braces are commercially available from multiple manufacturers; however, “unloading” braces are becoming increasingly popular. Newer lightweight brace designs incorporate components such as carbon composite shells, single or double uprights, pivot and geared polycentric hinges, and cleverly positioned dynamic straps. Similar to surgical realignment, the concept of “unloading” the affected compartment using a brace is also aimed at correcting the mechanical axis deviation. The unloading braces are specifically designed to apply a corrective torque (moment of force) to a varus or valgus deformity associated with unicompartmental knee OA. 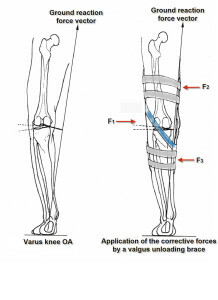 They are intended to dynamically off-load the damaged compartment via a “three-point bending” mechanism.29 As depicted in Figure 4, force F1 is being applied by the dynamic strap, while forces F2 and F3 are being applied by the thigh and leg cuffs, respectively. Figure 4. Three-point bending mechanism of a knee unloading brace. Pollo et al observed that the dynamic strap of an unloading brace shares the load at the knee joint. The authors calculated the stress in the medial knee compartment using a mathematical model, and reported that the joint stress decreased with the use of an unloading brace.37 Nevertheless, it is important to note that since the forces in a natural knee joint can not be directly measured in a person, they have to be estimated based on mathematical or computer models, and considerable assumptions and limitations are associated with model-based techniques. In general, braces, regardless of type, tend to slide, rotate, and lose their alignment with the joint center, which makes them less effective than when they are positioned correctly. A placebo effect is often suspected in patients’ satisfaction with their brace. Thus, in spite of reports of reduced knee pain and improved function in several studies, the mechanical effects of unloading knee braces are not clear. It is not known if unloading braces can apply the corrective torque consistently and reliably across the gait cycle. Furthermore, the long term effectiveness of these braces beyond six months has not been adequately evaluated. 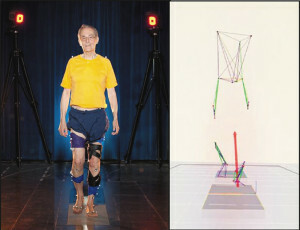 The Leon Root, MD Motion Analysis Laboratory (LRMAL) at the Hospital for Special Surgery (HSS) in New York is well-equipped to study human movement using high-tech research tools, such as a 3D motion capture system, force platforms, plantar pressure platforms, Biodex muscle-testing unit, and electromyography. The LRMAL researchers, in collaboration with the physicians at HSS, have been working on several research projects to fully comprehend the complex relationships between joint structure, pain and function, and patho-mechanisms in OA. 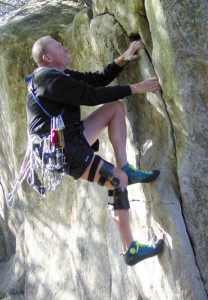 In an ongoing study, the mechanical effects of unloading knee braces are being examined. 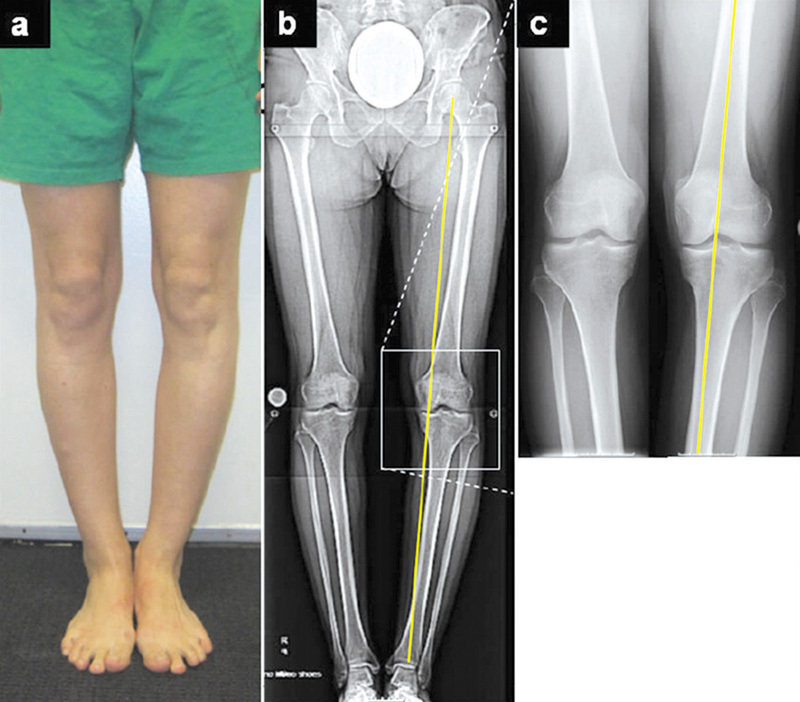 A second study has been designed to examine the mechanical changes (walking kinetics, kinematics, and energy efficiency) in children undergoing surgical realignment of a varus knee deformity, such as Blount’s disease. Likewise, a third study has been developed to evaluate the above outcome measures in the adult population with varus knee OA. Figure 5. 3D motion data capturing in process the subject walking on a force plate (left) and marker motion and the ground reaction force vector (right). In the unloading brace study, we measure knee pain and function using visual analog scale (VAS) and KOOS scores, knee structure (joint space on X-ray images), OA biomarkers in the joint fluid, and walking mechanics (kinetics and kinematics) using 3D gait/ motion analysis. The testing is done before, during and after one year of therapy with the Unloader One brace from Össur Americas. The Unloader One brace features a lightweight custom design that incorporates dual dynamic straps for the application of the corrective torque/moment. In 3D gait analysis, reflective markers are fixed on bony prominences of a patient’s body, and marker motion is recorded using infra-red cameras while patient performs tasks such as walking (Figure 5) or climbing up and down the stairs. Various kinetic (e.g. forces) and kinematic (e.g. joint angles and accelerations) measurements are dynamically recorded during testing. 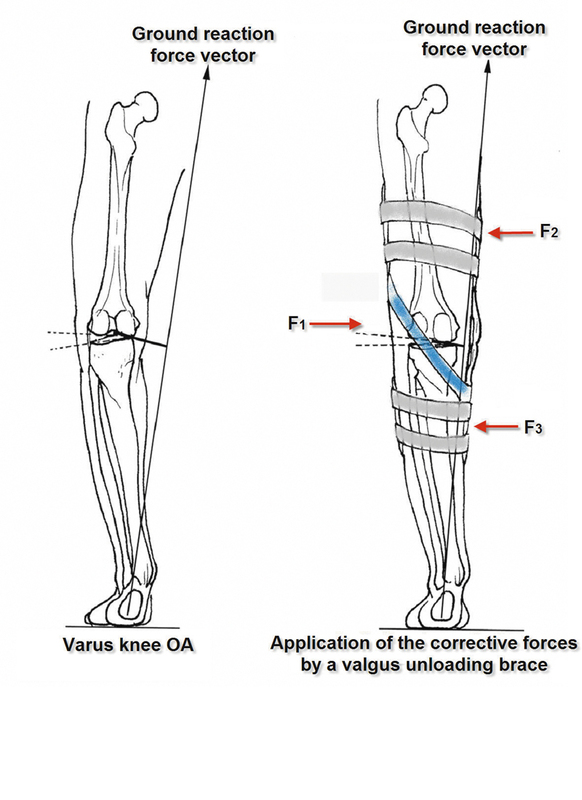 In medial knee OA, the knee adduction moment (the tendency of the forces at the knee to cause varus movement) has been associated with knee alignment and OA severity.25,39 Although abnormal knee alignment has been associated with aberrant biomechanical function and progression of OA,6,25-27 the exact relationships between knee alignment, pain, function and mechanics (kinetics and kinematics) are poorly understood. We are expecting significant reduction of knee pain, and improvement of knee function, structure and chemical make-up of the knee joint fluid at successive follow-up visits, compared to baseline levels. Based on our preliminary results on seven subjects with moderately severe OA, knee pain during stair ascent/descent and walking at a comfortable speed were significantly reduced at one week, and four and 12 months. Difficulty in performing daily living and recreational activities, as well as other knee symptoms, were significantly decreased at four months and maintained at 12 months. However, the radiographic parameters were not statistically different between baseline and 12 month follow-up visits.40-44 We are currently analyzing the correlation between the subjective and objective measurements in order to better quantify the efficacy of brace therapy. We are also seeking additional subject recruitment. In summary, unloading braces may be a valid option for selected patients with unicompartmental knee OA, although their efficacy in other types of knee OA remains to be documented. There is no “ideal” brace for knee OA – the one that would be lightweight, comfortable and unobtrusive, fit firmly, not slip or rotate, maintain its alignment with the joint’s natural center of rotation throughout the gait cycle, allow normal knee motion without restricting rotations, impart adjustable amounts of correction for varus/valgus deformities, and adjust for inter-personal variability in body mass index, lower limb and knee joint structure. There is a need for more versatile custom braces that can be prescribed for different types of arthritis. Better insights into normal and abnormal joint mechanics will continue to play a critical role in designing better braces and other orthoses. Improved orthotic therapy and other conservative treatment modalities will hopefully be more effective in the near future for prolonging the life of the natural knee joint. Yatin Kirane, D.Orth, PhD, is a postdoctoral fellow, Rebecca Zifchock, PhD, is an instructor and Howard Hillstrom, PhD, is the director at the Motion Analysis Laboratory at the Hospital for Special Surgery in New York City. Note: For more information about the ongoing projects at the Leon Root, MD, Motion Analysis Laboratory at the Hospital for Special Surgery, please contact Yatin Kirane at kiraney@hss.edu. 1. Arthritis and related conditions. In: The burden of musculoskeletal diseases in the United States. 1st ed. Rosemont, IL: American Academy of Orthopaedic Surgeons; 2008:71-96. 2. Bagge E, Bjelle A, Valkenburg HA, Svanborg A. Prevalence of radiographic osteoarthritis in two elderly European populations. Rheumatol Int 1992;12(1):33-38. 3. Murphy L, Schwartz TA, Helmick CG, et al. Lifetime risk of symptomatic knee osteoarthritis. Arthritis Rheum 2008;59(9):1207-1213. 4. Englund M, Lohmander LS. Risk factors for symptomatic knee osteoarthritis fifteen to twenty-two years after meniscectomy. Arthritis Rheum 2004;50(9):2811-2819. 5. Messier SP, Loeser RF, Miller GD, et al. Exercise and dietary weight loss in overweight and obese older adults with knee osteoarthritis: the Arthritis, Diet, and Activity Promotion Trial. Arthritis Rheum 2004;50(5):1501-1510. 6. Sharma L, Song J, Felson DT, et al. The role of knee alignment in disease progression and functional decline in knee osteoarthritis. JAMA 2001;286(2):188-195. 7. Brouwer GM, van Tol AW, Bergink AP. Association between valgus and varus alignment and the development and progression of radiographic osteoarthritis of the knee. Arthritis Rheum 2007;56(4):1204-1211. 8. Ranawat CS, Flynn WF Jr, Saddler S, et al. Long-term results of the total condylar knee arthroplasty. A 15-year survivorship study. Clin Orthop Relat Res 1993;(286):94-102. 9. Rodriguez JA, Bhende H, Ranawat CS. Total condylar knee replacement: a 20-year followup study. Clin Orthop Relat Res 2001;(388):10-7. 10. Dalury DF, Fisher DA, Adams MJ, Gonzales RA. Unicompartmental knee arthroplasty compares favorably to total knee arthroplasty in the same patient. Orthopedics 2009;32(7):470. 11. Brouwer RW, Raaij van TM, Bierma-Zeinstra SM, et al. Osteotomy for treating knee osteoarthritis. Cochrane Database Syst Rev 2007;(3):CD004019. 12. Akizuki S, Shibakawa A, Takizawa T, et al. The long-term outcome of high tibial osteotomy: a ten- to 20-year follow-up. J Bone Joint Surg Br 2008;90(5):592-596. 13. Buckwalter JA, Stanish WD, Rosier RN, et al. The increasing need for nonoperative treatment of patients with osteoarthritis. Clin Orthop Relat Res 2001;(385):36-45. 14. Zhang W, Nuki G, Moskowitz RW, et al. OARSI recommendations for the management of hip and knee osteoarthritis: part III: Changes in evidence following systematic cumulative update of research published through January 2009. Osteoarthritis Cartilage 2010;18(4):476-499. 15. Fransen M, McConnell S. Exercise for osteoarthritis of the knee. Cochrane Database Syst Rev 2008;4:CD004376. 16. Sled EA, Khoja L, Deluzio KJ, et al. Effect of a home program of hip abductor exercises on knee joint loading, strength, function, and pain in people with knee osteoarthritis: a clinical trial. Phys Ther 2010;90(6):895-904. 17. Thorp LE, Wimmer MA, Foucher KC, et al. The biomechanical effects of focused muscle training on medial knee loads in OA of the knee: a pilot, proof of concept study. J Musculoskelet Neuronal Interact 2010;10(2):166-173. 18. Bartels EM, Lund H, Hagen KB, et al. 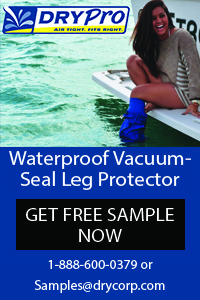 Aquatic exercise for the treatment of knee and hip osteoarthritis. Cochrane Database Syst Rev 2007;(4):CD005523. 19. Gill SD, McBurney H, Schulz DL. Land-based versus pool-based exercise for people awaiting joint replacement surgery of the hip or knee: results of a randomized controlled trial. Arch Phys Med Rehabil 2009;90(3):388-394. 20. Clegg DO, Reda DJ, Harris CL, et al. Glucosamine, chondroitin sulfate, and the two in combination for painful knee osteoarthritis. N Engl J Med 2006;354(8):795-808. 21. Bellamy N, Campbell J, Robinson V, et al. Viscosupplementation for the treatment of osteoarthritis of the knee. Cochrane Database Syst Rev 2006;(2):CD005321. 22. Kotevoglu N, Iyibozkurt PC, Hiz O, et al. A prospective randomised controlled clinical trial comparing the efficacy of different molecular weight hyaluronan solutions in the treatment of knee osteoarthritis. Rheumatol Int 2006;26(4):325-330. 23. Turajane T, Wongbunnak R, Patcharatrakul T, et al. Gastrointestinal and cardiovascular risk of non-selective NSAIDs and COX-2 inhibitors in elderly patients with knee osteoarthritis. J Med Assoc Thai 2009;92(Suppl 6):S19-S26. 24. Hillstrom HJ, Brower DJ, Bhimji S, et al. Assessment of conservative realignment therapies for the treatment of varus knee osteoarthritis: biomechanics and joint pathophysiology. Gait Posture 2000;11(2):170-171. 25. Hillstrom HJ, Brower DJ, Whitney K. Lower extremity conservative realignment therapies for knee osteoarthritis. In: Meyer NH, Hennig EM, Esquenazi A, Brander VA, eds. Physical Medicine and Rehabilitation: State of the Art Reviews. Vol 16. Philadelphia: Hanley & Belfus, Inc.; 2002:507-520. 26. Andriacchi TP, Lang PL, Alexander EJ, Hurwitz DE. Methods for evaluating the progression of osteoarthritis. J Rehabil Res Dev 2000;37(2):163-170. 27. Brower DJ, Hillstrom HJ, Song J. Lower extremity malalignment incidence in knee osteoarthritis. Arthritis Rheum 1997;40(9):S174. 28. Ilizarov GA, Pereslytskikh PF. Regeneration of diaphyseal bone tissue in lengthening operation after closed directed oblique ro screw-shaped osteoclasis. Vestn Khir Im I I Grek 1977;119(11):89-93. 29. Pollo FE, Jackson RW. Knee bracing of unicompartmental osteoarthritis. J Am Acad Orthop Surg 2006;14(1):5-11. 30. Kirkley A, Webster-Bogaert S, Litchfield R, et al. The effect of bracing on varus gonarthrosis. J Bone Joint Surg 1999;81(4):539-547. 31. Horlick SG, Loomer RL. Valgus knee bracing for medical gonarthrosis. Clin J Sports Med 1993;3(4):251-255. 32. Briggs KK, Matheny LM, Steadman JR, Aultman H. Use of an unloader brace for medial or lateral compartment osteoarthritis of the knee. Presented at the Annual Meeting of the American Academy of Orthopaedic Surgeons, New Orleans, LA, March 2010. 33. Ingvarsson T, Franklin J, Hardardottir E. Patients with moderate and severe knee OA do benefit from using a valgus knee brace. Presented at the Annual Meeting of the American Academy of Orthopaedic Surgeons, New Orleans, LA, March 2010. 34. Brouwer RW, Jakma TS, Verhagen AP, et al. Braces and orthoses for treating osteoarthritis of the knee. Cochrane Database Syst Rev 2005;(1):CD004020. 35. Brouwer RW, van Raaij TM, Verhaar JA, et al. Brace treatment for osteoarthritis of the knee: a prospective randomized multi-centre trial. Osteoarthritis Cartilage 2006;14(8):777-783. 36. Dennis DA, Komistek RD, Nadaud MC, Mahfouz M. Evaluation of off-loading braces for treatment of unicompartmental knee arthrosis. J Arthroplasty 2006;21(4 Suppl 1):2-8. 37. Pollo FE, Otis JC, Backus SI, et al. Reduction of medial compartment loads with valgus bracing of the osteoarthritic knee. Am J Sports Med 2002;30(3):414-421. 38. Ramsey DK, Briem K, Axe MJ, Snyder-Mackler L. A mechanical theory for the effectiveness of bracing for medial compartment osteoarthritis of the knee. J Bone Joint Surg Am 2007;89(11):2398-2407. 39. Andrews M, Noyes FR, Hewett TE, Andriacchi TP. 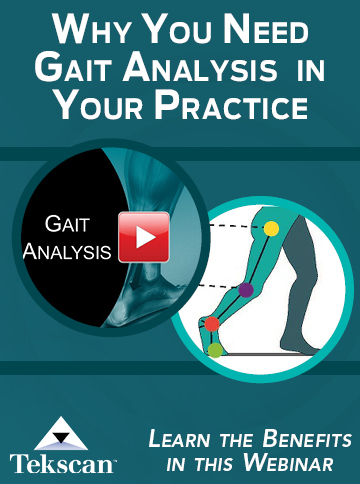 Lower limb alignment and foot angle are related to stance phase knee adduction in normal subjects: a critical analysis of the reliability of gait analysis data. J Orthop Res 1996;14(2):289-295. 40. Kirane Y, Zifchock R, Gulotta L, et al. knee pain, structure and function after one year of unloader bracing for medial knee osteoarthritis. Osteoarthritis Research Society International 2010 Congress, Brussels, Sept 2010. 41. Zifchock RA, Backus SI, Bogner E, et al. The immediate bilateral effects of unilateral knee bracing for the treatment of knee osteoarthritis: preliminary results. 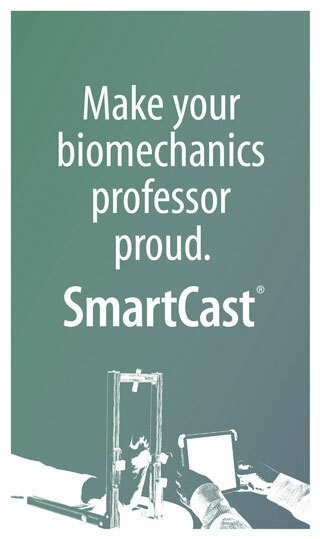 Presented at the American Society of Biomechanics 33rd Meeting, State College, PA, August 2009. 42. Zifchock RA, Backus SI, Bogner E, et al. The relationship among pain, structure, and function of the knee in patients with medial knee osteoarthritis. Gait and Clinical Movement Analysis Society Meeting, Miami, May 2010. 43. Zifchock R, Kirane Y, Gulotta L, et al. The bilateral effects of unilateral knee bracing for the treatment of medial knee osteoarthritis. Osteoarthritis Research Society International 2010 Congress, Brussels, Sept 2010.